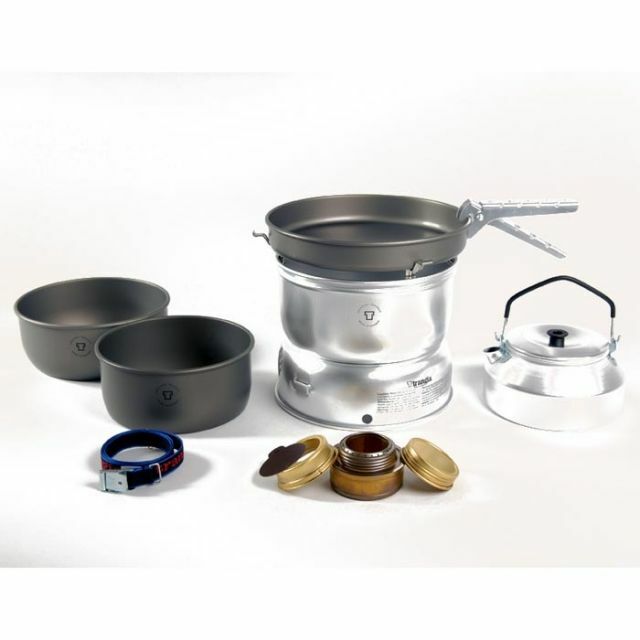 i did a side-by-side test of this trangia model 27 ul /ha comparing it to the white box stove, the trangia triangle and the caldera cone stove. windy and cold conditions. 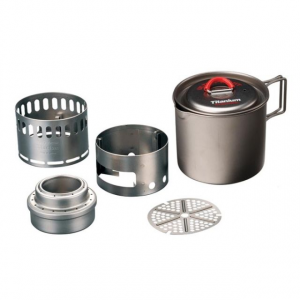 well, to be blunt, all of the other stoves were crap, so as a last resort i tested my trangia model 27 ul /ha. talk about shinning colors. all had about 1.5oz of meths, all the others were primed. 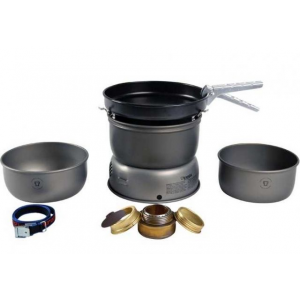 apart from the trangia model 27ul/ha the only stove to reach a very good boil was the model 27 trangia ul/ha. the other stoves were not even in the running. the tempurature was 8 degrees C with a strong wind. thank you, trangia if this test was on the cumbria way i would be in a world of hurt! 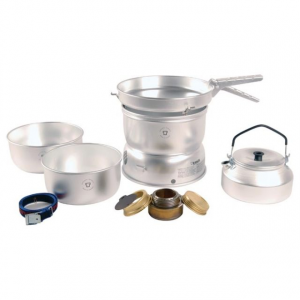 Easy to use foolproof stove for summer use. I have been using Trangias in the Finnish scouts since 1997. I have had my own since around 2005. In total I have cooked around half a years worth of meals on one. 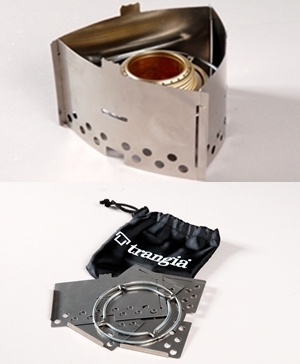 The Trangia consept is very simple. 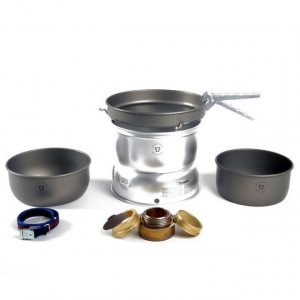 Place an ethanol burner in the middle of a windproof pot and a potfull of water on top of that. Due to the simplicity there is not a lot that can go wrong. The flame is adjusted with a seperate aperture placed over the burner. The size of the hole can be adjusted and the aperture can be removed for more heat. The whole thing packs inside itself into a fairly small package. The good features are the simplicity of use. The completely foolproof design and the failry good adjustability of the flame. Also the design lets it work in very high winds. The downsides turn up after longer or more extreme use. While the aperture can be opened or closed to get atomic level flame control, there is a large gap in flame intesity between aperture on and aperture off. Unfortunately the level of flame needed to fry pancakes is in this gap. Secondly ethanol does not evaporate well in cold conditions. When using one of these in -19 we had to place candles under the burners to get the ethanol to eveporate enough to light it. 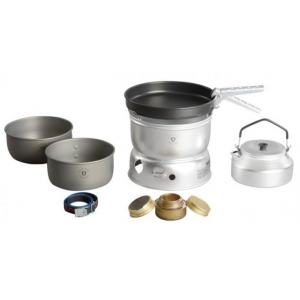 In short, an excellent stove for warm conditions, but for cold conditions a petrol stove would be better. The Trangia 27-7 UL/HA is not available from the stores we monitor. It was last seen March 6, 2019	at CampSaver.com.